Tangerine, coral, freckle and peach are all versions of orange lipstick. People often shy away from the bold color. More often than not, orange hues make a standout beauty statements. I have worn and loved wearing orange tones. My two favorites are Fenty Beauty’s Freckle Fiesta and M.A.C.’s Lady Danger. Bold and beautiful it’s more daring than red but looks incredible on a range of skin tones. 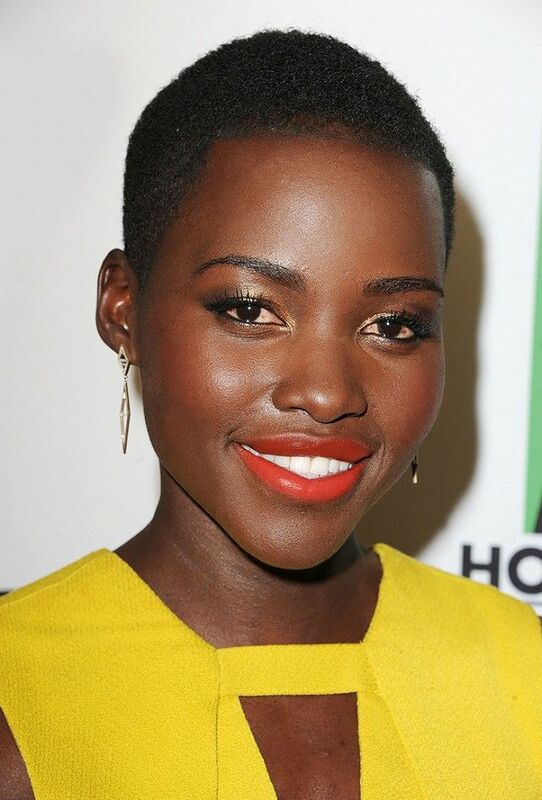 From Lupita Nyong’o to Keira Knightley , from Rodin to NYX , there is an orange lip color for you! How to pick the perfect orange for your pout? Decide whether or not you want matte, glossy or stained lips. Matte lipstick is void of shine, glossy lips leave your lips with a wet or slick look and stains leave lips with subtle color that has softly penetrated the skin. Next choose whether or not you want a bold standout lip or a muted color. Remember Red+Yellow make orange: If you like reds and pink lean in the cheery and bright orange direction. If you like yellows and coppers look for colors with a shimmering base. Finally, if you like blue-reds try a dark orange with a fall themed base. If you’ve got fair skin opt for a orange with a true red base with a deep pink to red-orange undertone. Olive skin, try a deep-red base that will stand out against your radiant complexion. Medium brown skin tones should try a lipstick with a red-orange value to it’s undertone, this shade will pop against beautiful brown skin. Deep chocolate skin tones should try any orange you like orange tones are perfect for your complexion. If you aren’t familiar with bold lips, take a little security guard in your tote just in case your lipstick gets smudged. Keep a stash of FLAUNT by LAUREN NAPIER in your makeup bag to touch up on-the-go.